"TyLa BLaQ dishes out this HOT tune(his debut) titled 'Move'.The song was produced by amazing Phate and mixed by Dextirioz. The 15-year-old rapper,singer and songwriter on this track finds himself trying to convince a girl to his side and the girl being 'shy' or even to the extent of 'forming posh' - typical of Nigerian girls. This is really amazing and rare of a young boy like him,as all the young artistes will either sing about their imaginary money,cars,fame etc or their fantasical girlfriends.But TyLa is just different! He really communicates what everyone can relate with - wooing a tough girl. Follow him on Twitter and Facebook @TyLaBLaQ." 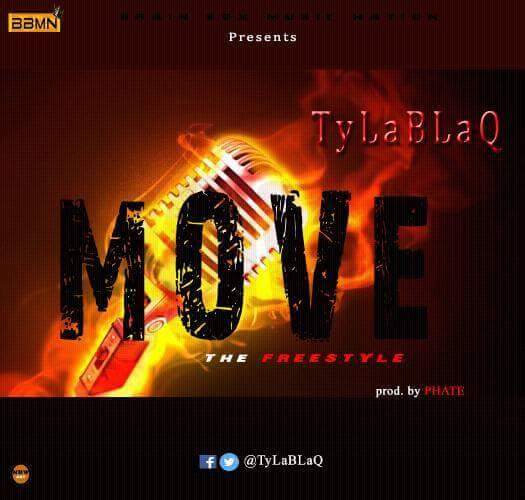 1 Response to "[MUSIC] DOWNLOAD MP3: Tyla Blaq - Move(The Freestyle)"